HAIL blasts across the fell and bounces off rocks. Wind stings the land. There are no shapes in this grey world – only noise and coldness and sloping ground. Then the mist parts briefly and something dark and vaguely eerie hovers on the edge of the visible world. 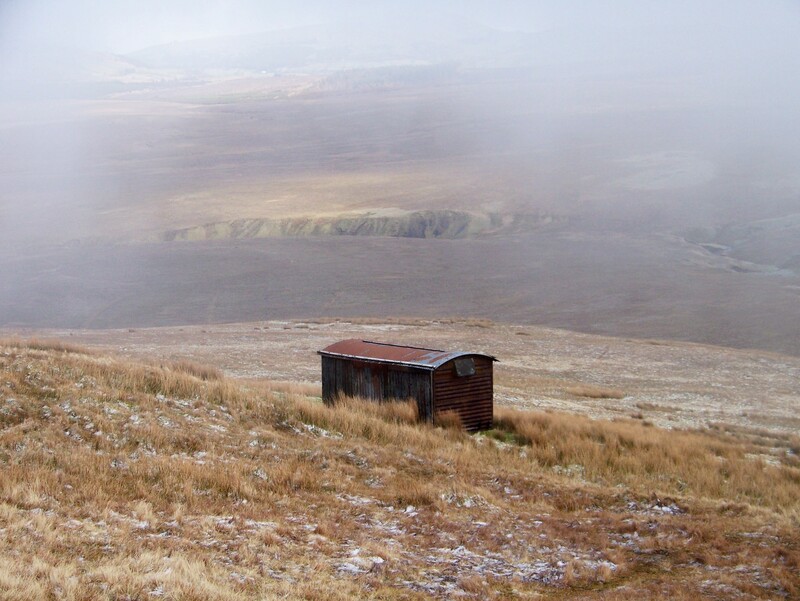 It’s an old railway goods wagon – twelve miles from the nearest siding and at an altitude of 1,684ft. That’s thrown me. 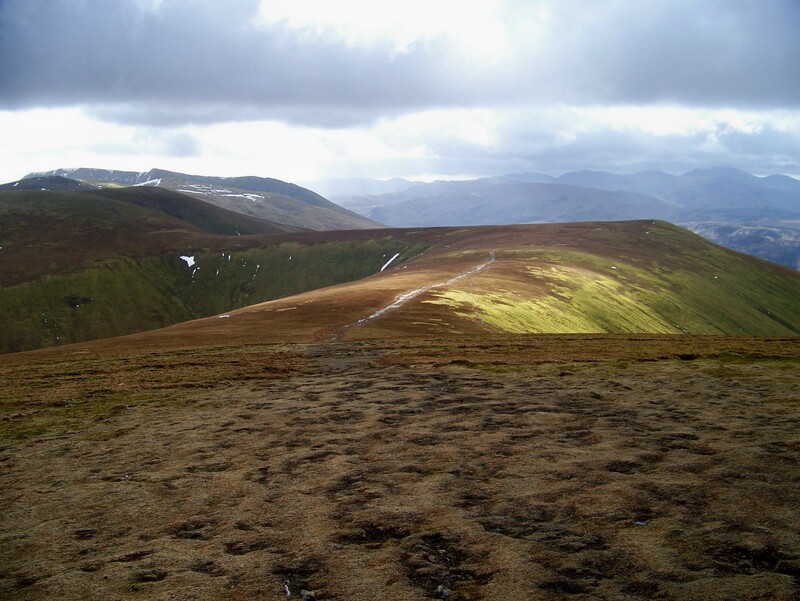 I’m descending Clough Head, above Keswick, to the Old Coach Road, and was dwelling on a mystery concerning coaches and horses. But now I’ve got a railway wagon near the top of a mountain. Better start at the beginning . . .
. . . There’s a can of tea bubbling on the petrol stove as I pull on my boots at the crossroads above Dockray, where the Old Coach Road from Keswick comes down from the fell. My legs won’t work if I don’t have tea. That’s probably why Sherpas and people from Darjeeling are good at climbing mountains. I’ve not wandered along the little valley to Dowthwaitehead before. It’s quite pleasant. There’s a scattering of untidy farms, some sodden paths, bare trees and bleak fellside. I follow one of the sodden paths up onto Birkett Fell and into a ferocious wind that’s howling from the west. It’s cold, very cold. 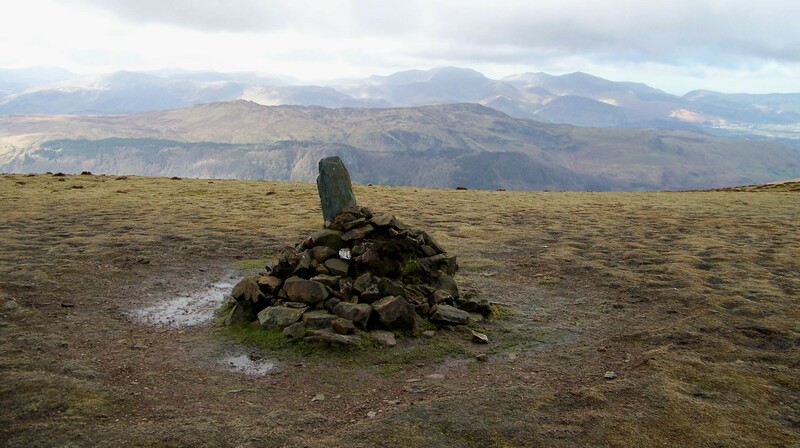 The Dodds – Stybarrow Dodd, Watson’s Dodd and Great Dodd – are fine fells linked by broad grassy ridges. I like it up here. A bloke can step out and think about things. He can let his mind wander. 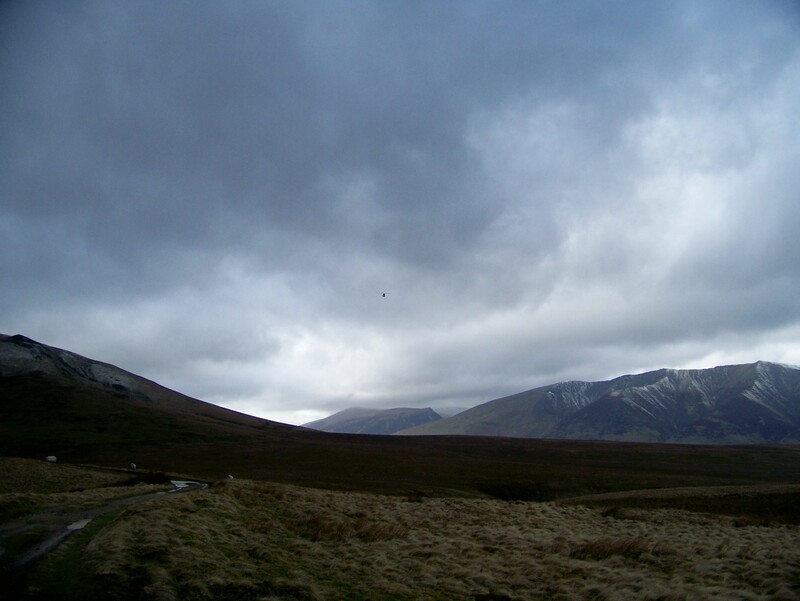 Over to the west, dark clouds engulf Great Gable and the mountains to its north. But up on the Dodds the air is clear. From the summit shelter on Great Dodd I gaze down upon moorland to the north and east and the Old Coach Road that crosses it. 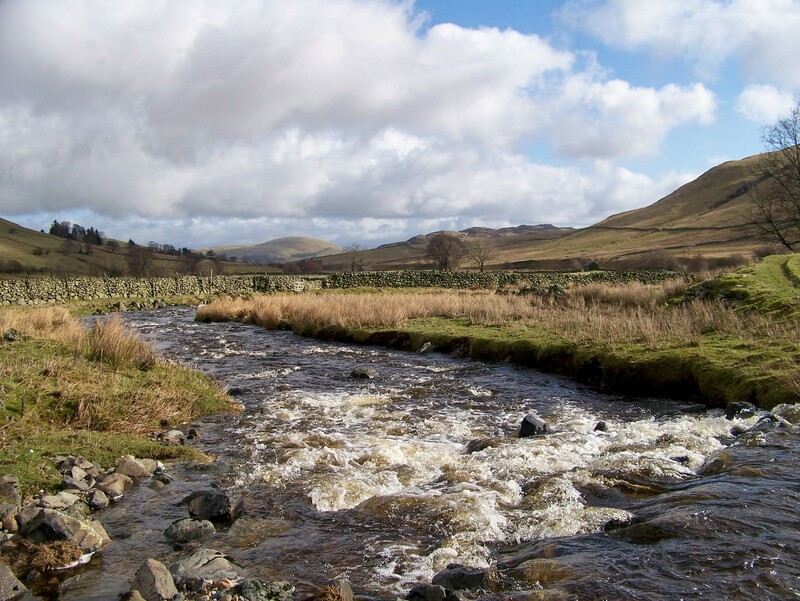 Before the advent of the Cockermouth, Keswick and Penrith Railway, it must have been a cold and desolate journey across those five barren miles for anyone driving a team of horses, with the wind and hail whipping his collar. Or was it? According to the National Gazetteer of 1868, the mail coach from the South to Glasgow ran on the old turnpike road through Penrith and Carlisle, then through Longtown and into Scotland, following what is now the A6. An east-west mail coach ran from Carlisle through Brampton to Newcastle, along the route of the A69. A third coach ran from Whitehaven, calling at Cockermouth and Keswick before completing its 44-mile journey in Penrith, where it met up with the Glasgow coach. 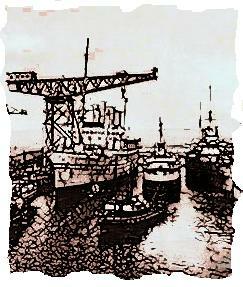 Whitehaven, for anyone interested, was the last place in Britain to be invaded by an enemy force. 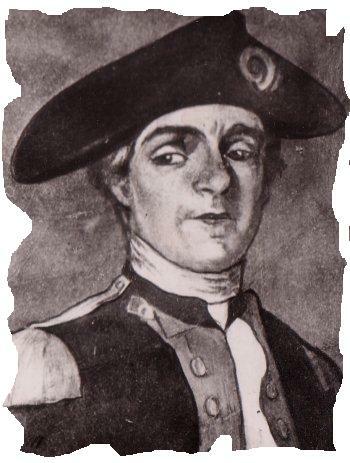 For this honour we have Captain John Paul Jones – father of the US Navy – to thank. Jones, a Scotsman by birth, led a party ashore in 1778 during the American War of Independence and made a nuisance of himself – not much of a nuisance, but enough get the authorities absolutely bouncing. I like that story, and I’m quite surprised I haven’t managed to sneak it in before now. So I’m looking down on the old track along which, I assume, the Whitehaven to Penrith coach used to run. It’s not hard to imagine it rattling along the ruts, a team of steaming horses pounding the mud and the driver wrapped up against the wind. 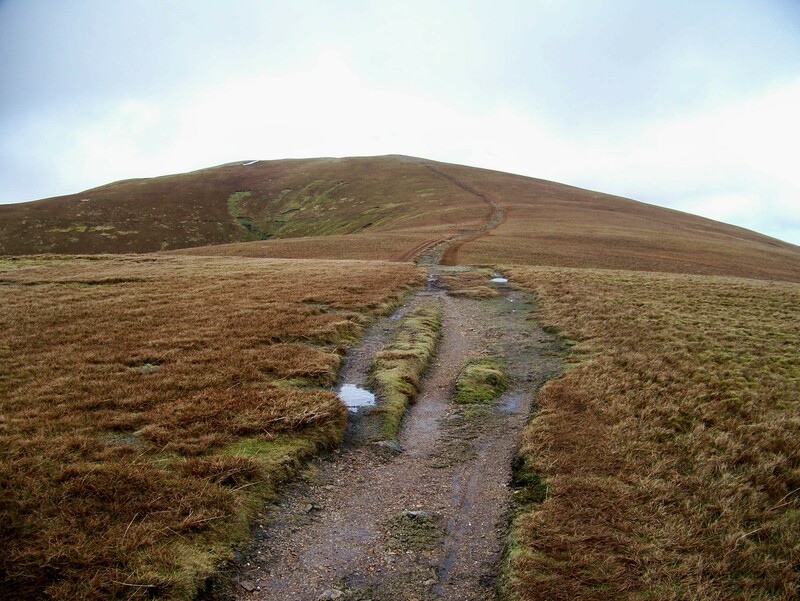 Last night, though, I stumbled upon a website that maintains there is no authenticated evidence or legend to suggest it was a coach road at all, and that the road probably had its origins as a peat track in the days when we commoners had the right to dig fuel on the fell. Those rights, and similar rights that benefited the masses, disappeared when the rich took the land for themselves under various acts of Parliament – which was all in the national interest, apparently. That sort of thing – the poor making sacrifices while the rich get richer for the good of the country – couldn’t happen nowadays of course. Pause. So, was it a coach road or wasn’t it? It’s certainly marked on the Ordnance Survey maps as Old Coach Road. 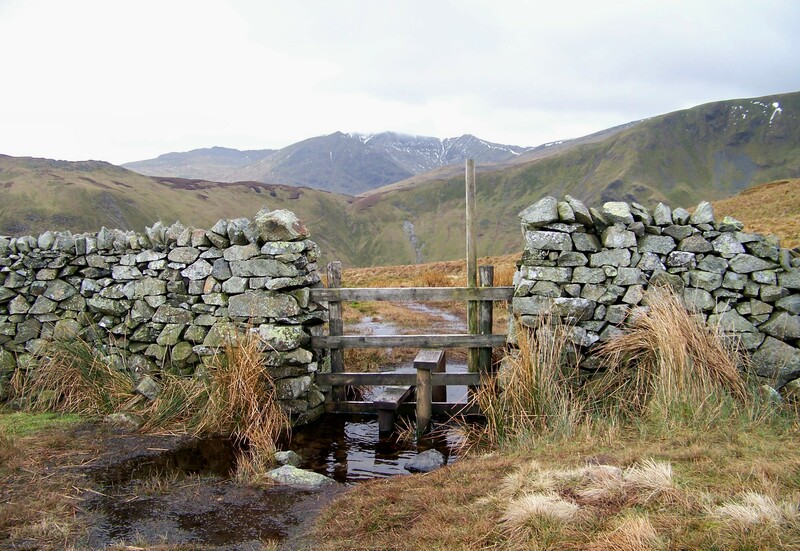 But consider this: between Keswick and Penrith there is one sizable settlement – the village of Threlkeld. This would have been a handy staging post on the coach route, one would assume. But the Old Coach Road passes the village a mile to the south and several hundred feet up the fell. In fact, the Old Coach Road attains an altitude of 1,433ft at a point where, had it stuck to the valley, it would have been rattling along at 740ft. That’s a huge chunk of height for horses to pull a stagecoach. Hmmm. 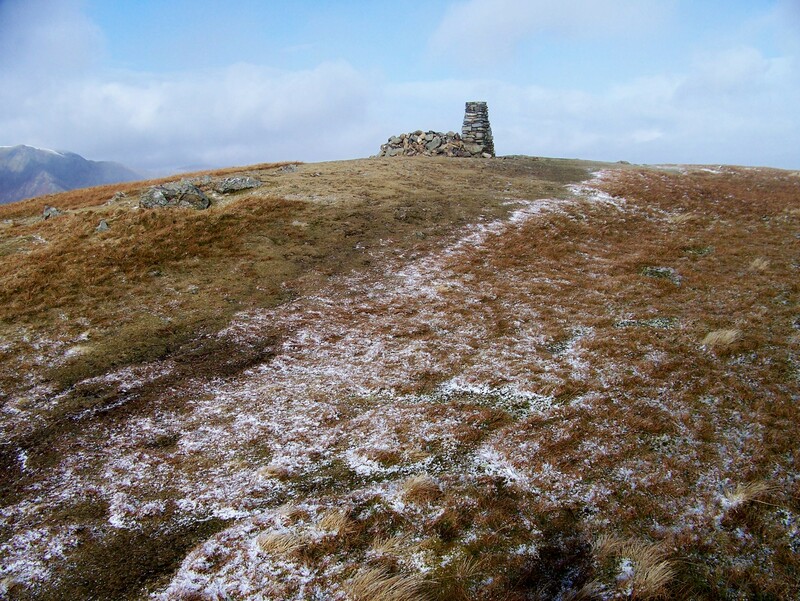 I leave the sanctuary of Great Dodd’s rudimentary shelter and, bent double into the wind, follow the path to the final fell on the ridge – Clough Head. 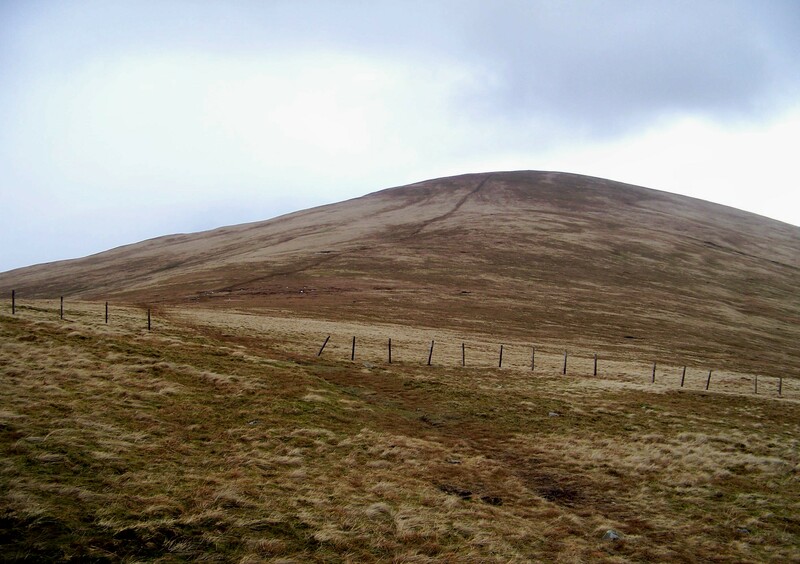 Clough Head is one of my favourite mountains. 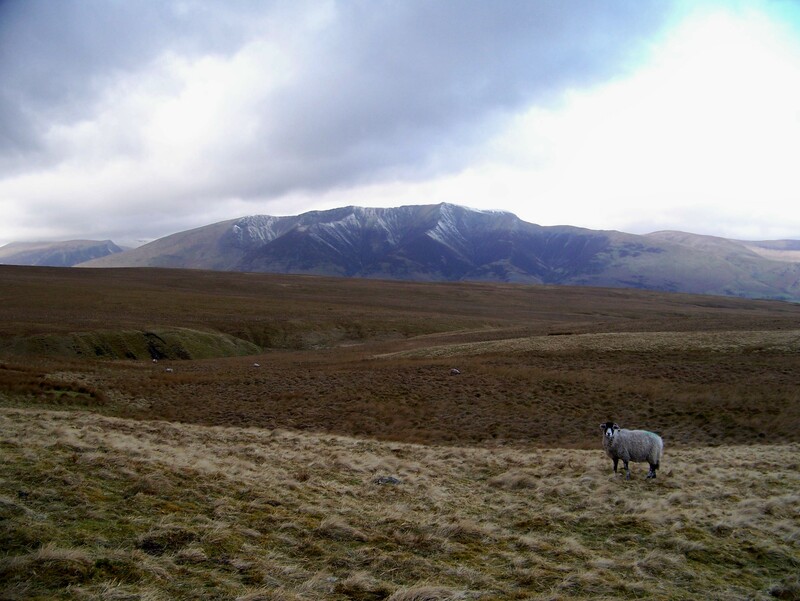 In the grand scheme of things it is pretty damned insignificant, little more than a full-stop on a sentence in which Helvellyn is the main subject. But it holds happy memories. 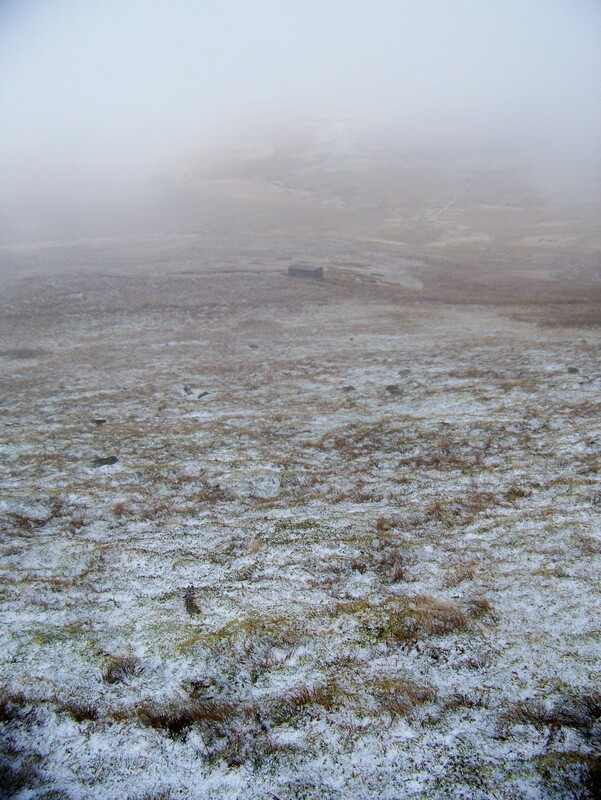 Hail sweeps in before I reach the summit – great white curtains dragging themselves across the ridge from the west. And then I see nothing. The sun breaks through briefly while I’m sheltering on the summit, just long enough to take some pictures, then the hail returns with renewed ferocity. It’s during this second squall, while I’m stumbling down the fell, I hear a choir of angels above the wind and the railway goods wagon heaves out of the mist – bathed in sunshine – like the galley bearing King Arthur’s body to Avalon. Railway goods wagons. We’ve been here before, and pretty recently. I have a theory about them. After several decades of walking through wild and desolate places, it has been observed that the wilder and more desolate the place becomes, the more likelihood there is of stumbling across one. 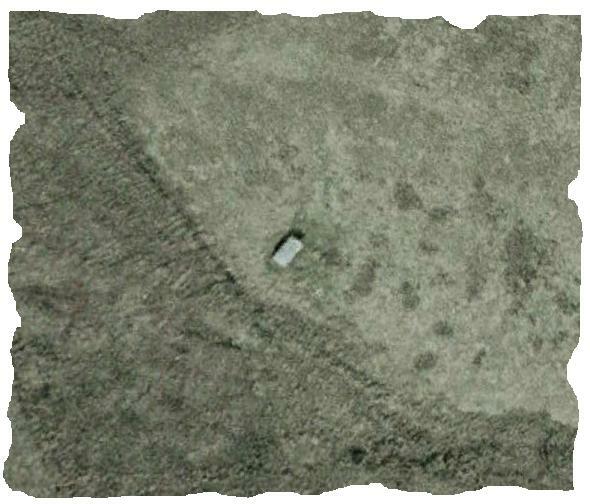 This wagon, positioned on blocks and sleepers at an altitude of 513m or 1,684ft (you can actually see it on Google Earth), didn’t get here without a great deal of effort. By the way, it’s a BR Shocvan. (I originally identified it as a BR 12T Vanfit but I’ve been informed otherwise. See comments). So I slither down the slopes of Clough Head, wondering how an old railway wagon managed to slither up it, and clump along the Old Coach Road towards the crossroads above Dockray. It’s a cold and blustery few miles, but pleasant nonetheless. I pass the time trying to determine whether or not coaches used this route. I decide it’s a myth perpetuated by the Ordnance Survey. I boil more tea at the car, but while I’m warming some of yesterday’s homemade soup, the hail sweeps in again on a roaring wind. Something big and dark rumbles past in the gloom. And this might sound daft, and I just know you won’t believe me, but I swear I can hear the creaking of wheels and the neighing of horses above the wind. I am left in a dilemma. Was it a coach and team? Or was it a BR Shocvan carrying horses? A couple of good websites concerning the invasion of Whitehaven by John Paul Jones in the days before he took up bass guitar. Jones was also involved in a sea battle off Flamborough Head where he commandeered a Royal Navy vessel after his own ship, the Bonhomme Richard, was shot from under him. There’s a song about it, but don’t ask me to sing it. Oh, go on then . . . The National Gazetteer of 1868 on the coach routes of Cumberland (it’s the final paragraph). 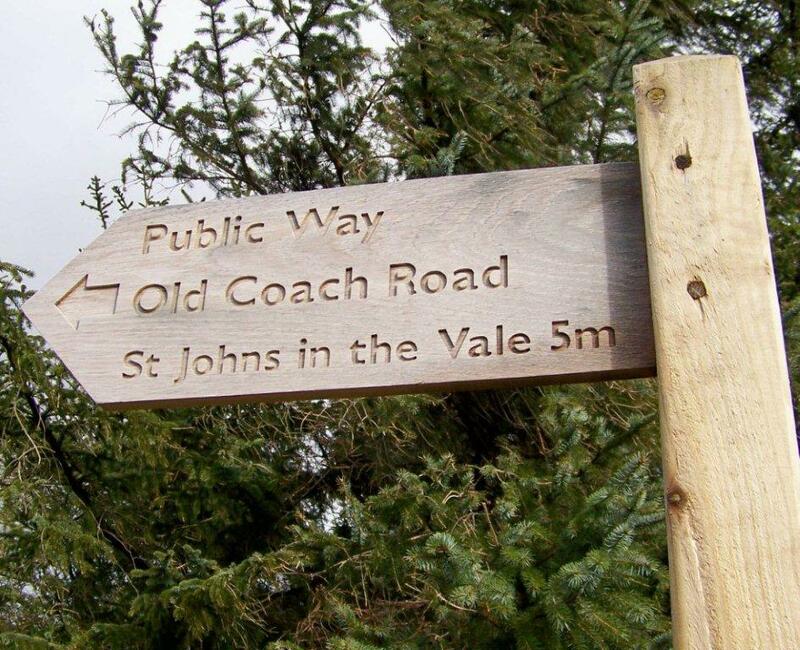 The Old Coach Road – is it or isn’t it? According to this website, it isn’t. This entry was posted in Climbing, Environment, Ghosts, Hiking, History, Industrial archaeology, Mountains, Railway goods wagons, Railways, Walking and tagged Lake District, outdoors, Scotland, The Lakes, transportation. Bookmark the permalink. Thanks for that. It never ceases to amaze me that you can post a blog article about a locality within an hour’s drive of your house and within an instant someone on the other side of the world is reading it. Cheers, Alen. Ha ha. You’re right, John. When I get round to it I’m going to set up a page dedicated to them because I’ve got a few pictures stashed away. And they are certainly more interesting than trig points. And when the weather gets rough, you can’t shelter in a trig pint. Cheers, Alen. Thank you very much, it’s appreciated. Alen. 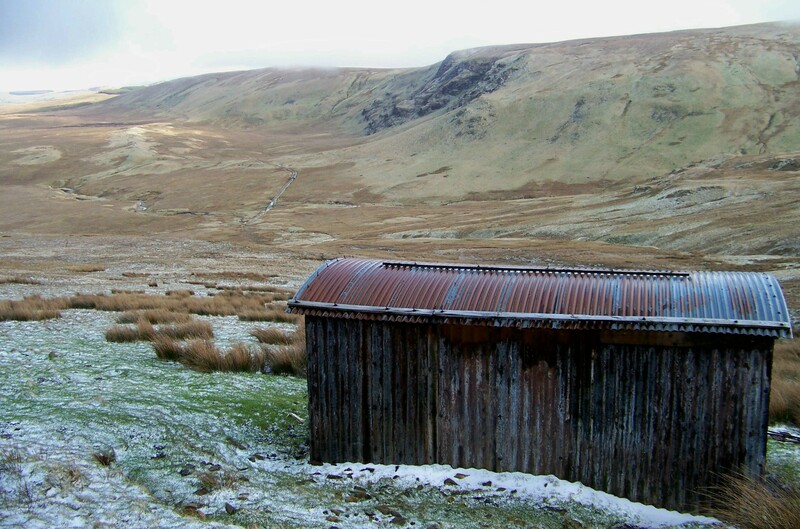 I’ve heard of the old wagon on the slopes of Clough Head & I’m sure it was hear I first read it. 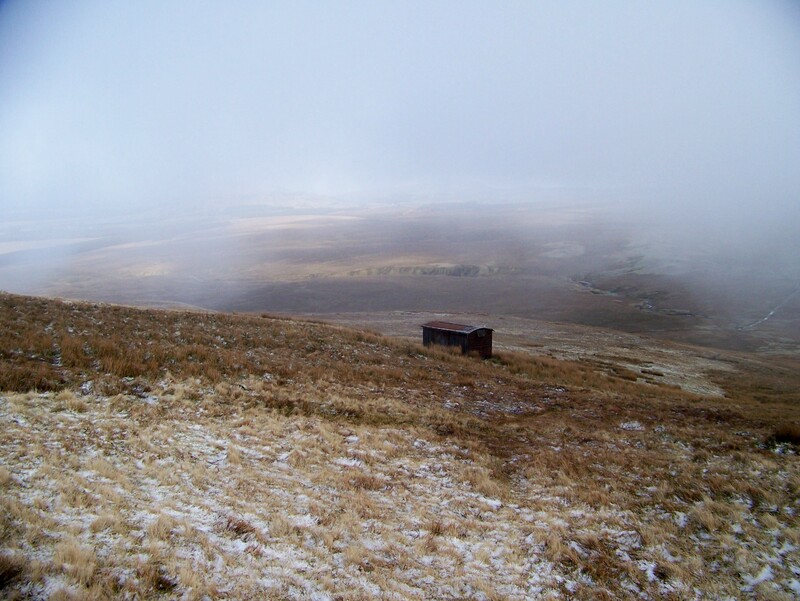 Must try Clough Head via the Old Coach Road as its a route I haven’t gained the summit by & without doubt – pay a visit to the Old Wagon, its a pretty o’l altitude to leave a wagon that is! Hi Paul. 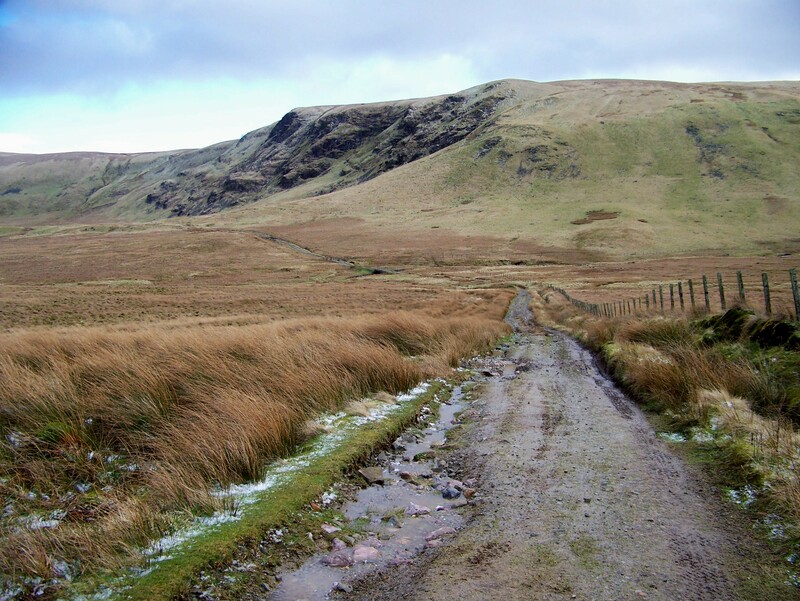 I think the Old Coach Road from the Dockray end is the best route up Clough Head because it’s a pleasant walk in. There is also the option of cutting off left up a gill to come out on the ridge just south of the summit, which is a good walk. I’ve also climbed it from the Thirlmere side, but that was so long ago I can’t remember much about it – except that I had a hangover. Good to hear from you, Alen. 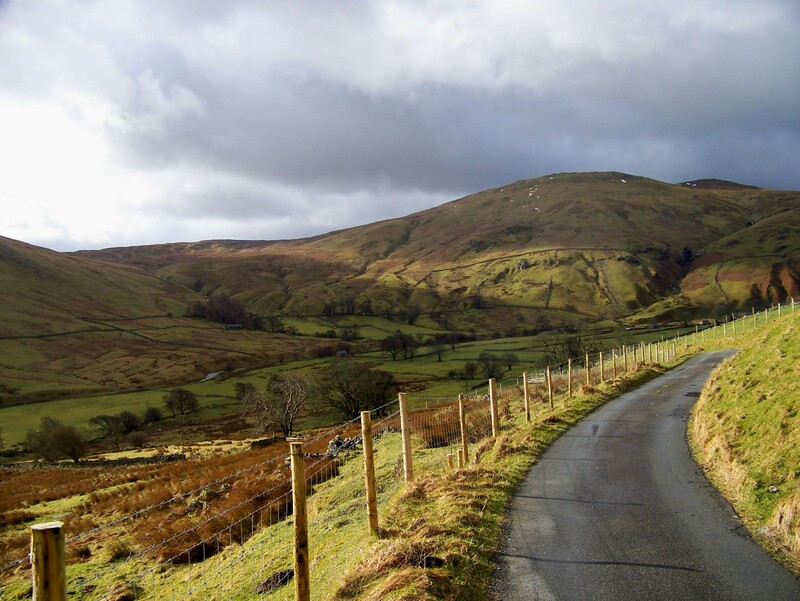 I really enjoyed this post Alen, I’ve been over these hills a couple of times too, from both sides and always enjoyed them. 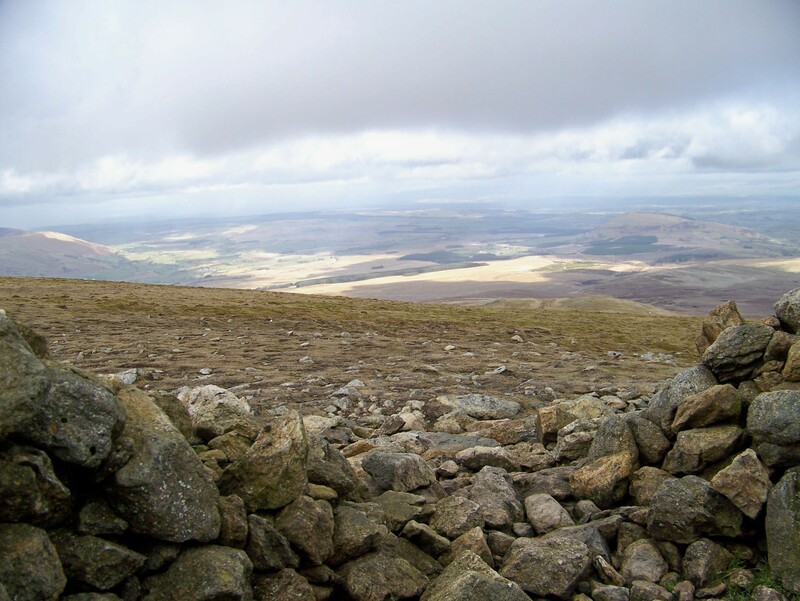 I sat on Clough Head once eating my lunch and a very lame but friendly sheep came begging for food. The view of Hopegill Head from there is wonderful. The bit about your nose made me smile, commiserations, I’ve suffered in the same way all my life too emotionally and physically! 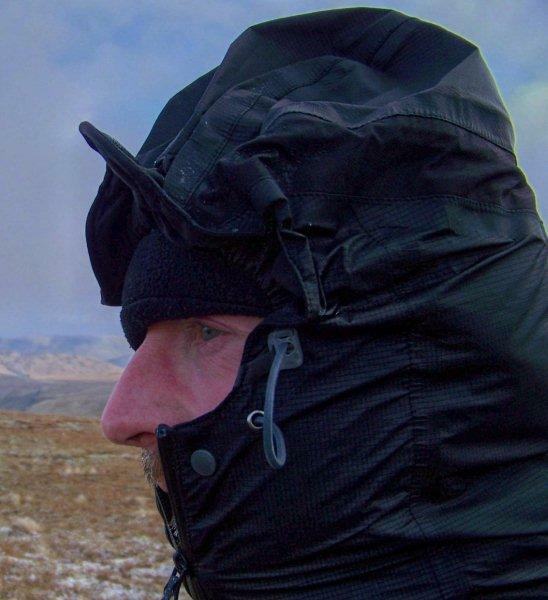 Try wearing a buff, they are so versatile and you can disguise yourself when folk approach or just use it to hep stop the of pain of wind driven hail! I do remember the wagon too. Thanks Colin. It never occurred to me to wear a buff – and I had one in my sack as well! Armed with that advice I’m ready for anything. Cheers, Alen. An informative read Alen. These are grand mountains with some wonderful open views when the weather is nice; conversely they are certainly pretty exposed when you get the weather conditions you did. If it was a coach road it must have been tough place to pass through for man and horse on a day like that. Hi David. Yes, they are grand mountains. Another thing I like about them, and which I forgot to mention, is that I didn’t see another soul in the entire day, despite their proximity to Helvellyn. The weather might have had a part to play in that, but they are little-frequented nonetheless, compared to their neighbours. Walked the exact same route a few years back but in the september. Its a very nice day out and doesn’t seem to get many visitors, weather was exactly the same as you had and the clough head hail seems to sting more than normal hail!! It was that really fine pellet variety that stings like mad. My nose was red for ages. Perhaps it increases in velocity as it comes over Keswick because there are no mountains between the western fells and Clough Head to slow it down. Top stuff as usual Alen. Spent a pleasant half hour brewing up in that railway wagon once. That John Paul Jones was a bit of a rascal, not content with helping Bonzo Bonham lay down the groove to some of the best music ever recorded. Turns out he was invading Cumbria as well. It’s always the quiet ones! Hi Karl. Apparently he played mandolin and keyboards as well. That’s not easy when you’re lashed to the mast. Some bloke. Cheers, Alen. Stayed in a house (High Brow ) on the road to Dowthwaitehead several years ago and loved the scenery around that whole area but was not aware of the names of these beautiful places …your article has let me know those names . Hi Martin. Thanks very much for your comment. It’s a wonderful area and one that shall always be in my heart. As for my leftist views, I think the chances of them changing are very slim indeed. The older I get, the more left I travel. There are two vans in the area. 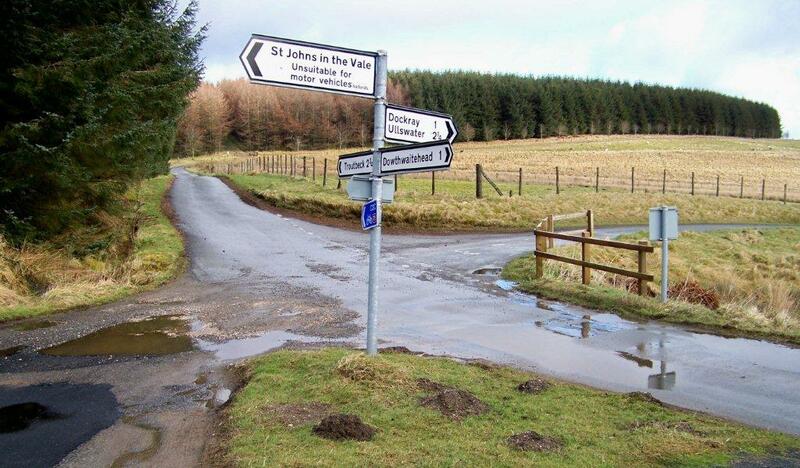 The one nearest to the Old Coach Road is definitely a Shocvan. 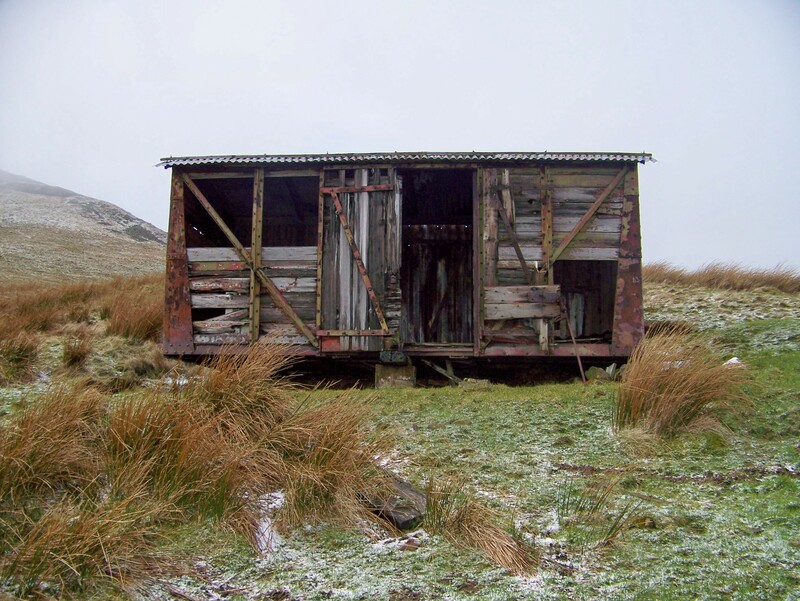 The other near Clough Head is listed in the Vintage Carriages Trust register as a Shocvan. That is the one visible on the Google Earth Clip. Thanks for that information Charlie. I shall alter the copy.